Raw tomatoes contain high levels of lycopene, a powerful antioxidant and cancer fighter. 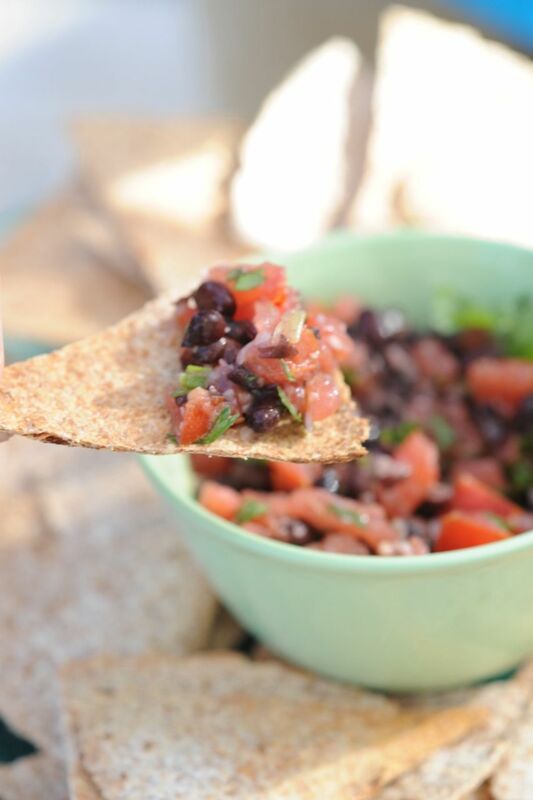 Black beans are an excellent source of fibre and protein. Garlic is known to be an immune booster when eaten raw and chopped. Remove seeds from tomato and chop finely. Roughly mash 1/4 cup of the black beans. Let salsa rest in fridge for at least 2 hours to absorb flavours. Variations: Yellow or orange tomatoes, any kind of beans you have on hand, fresh herbs like basil or parsley, add chopped avocado, chopped peppers and vary the spices according to your taste. Sorry, Diane, the first link does take you to the first page of nourishing tips. I will correct this as soon as I can. In the meantime you can get the recipe by going to the recipe of the week page. Link to it at the very end of the post as well. Hope all is well with you and Don. Aloha! Ok, got it.. Thank you! Don & I are on our way to Hawaii on Wed. Wish you guys were going to be there. Hope to see you in Sept/oct.